Samer recalls the gruesome shock of seeing his friend’s headless corpse strung up above Raqqa’s main square. It’s this memory, from a hot summer day in 2015, that defines his time living under ISIL’s rule in Syria. “No one was allowed to touch it, nor bring it down for a proper burial,” Samer says of the body of his friend, an English literature graduate in his mid-20s who was killed for his “activism”. “I can’t describe what I saw, simply because there are no words to describe it,” adds Samer, who uses a pseudonym to protect his identity. Public executions were a regular occurrence in ISIL’s former self-proclaimed capital – a brutal tactic aimed at silencing dissent and striking fear into the population. By March this year, however, the armed group had lost nearly 100 percent of its land, according to Conflict Monitor by IHS Markit, a security and defence observer. Today, only a handful of its fighters battle on in Baghouz, a town in Syria’s Deir Az Zor province that represents its final holdout and which is currently under assault by a US-backed Kurdish-led force. As such, “ISIL is far from being destroyed as a terrorist organisation,” Landis adds. “ISIL creeped up on us,” Mostafa Sager, a former FSA fighter who lived under ISIL’s rule, told Al Jazeera. “They worked in secret and relied on spies to weaken the FSA who were busy fighting the regime,” the 27-year-old, who remained in Raqqa until the summer of 2015, said. At its onset, ISIL began asserting its power “aggressively”, Sager, who had discreetly surrendered to the group following the FSA’s removal, says. The faces of foreigners, mostly Europeans, Chechens and North Africans, soon flooded the streets while all signs of the Syrian revolution – which Sager refers to as the “golden era” – were painted over and erased. The self-proclaimed caliphate promised its supporters a utopia while human rights violations by Assad’s government and FSA factions continued to mount. Sager says that some chose to support the group in its early stages because they were seeking “justice and freedom” from the war and from Assad’s “shackles”. The United Nations in 2016 revealed that at least 34 groups from around the world had pledged allegiance to the so-called “caliphate”. Yet, in the middle of a turbulent war, ISIL’s attempts to create its own society have proven unsuccessful. “They (ISIL supporters) thought they were getting a clean, non-corrupt entity to replace the central government,” Bessma Momani, professor of political science at the University of Waterloo, told Al Jazeera. The group’s infamous tactics left many with no option but to conform as a means of escaping harassment, arrest and death. While men were prohibited from shaving off their facial hair, ISIL’s religious police, the Hisbah, forced women to cover their faces. “The Hisbah would especially harass women if they weren’t wearing the ‘right clothing’,” says Samer, who wrote The Raqqa Diaries, a first-hand account depicting his experiences living under ISIL. Life under the group also meant limited contact with the outside world. Internet cafes were monitored, television sets were banned, and owning a mobile phone suggested conspiring with “foreign agents”. “It was as if the walls had ears,” Samer says, describing life under scrutiny. As the situation deteriorated, both Sager and Samer felt compelled to do something. “We had to wake people up and show them that this was not right, this is not Islam,” says Samer, who fled to Turkey in 2017. While Samer wrote witness accounts, Sager managed to smuggle a small, button-sized camera lens into Raqqa to secretly document daily life under ISIL rule – some of the footage he captured, which included public executions, was later used in international media reports. The two men recall how the group’s targets had always been “helpless civilians”, as Samer puts it. “Whenever they felt like they were about to lose territory, they’d tighten their grip and project onto civilians,” he says. Relentless aerial bombardment, coupled with ground incursions by coalition allies, eventually led to the demise of ISIL as a self-proclaimed caliphate – but it came at a huge cost. 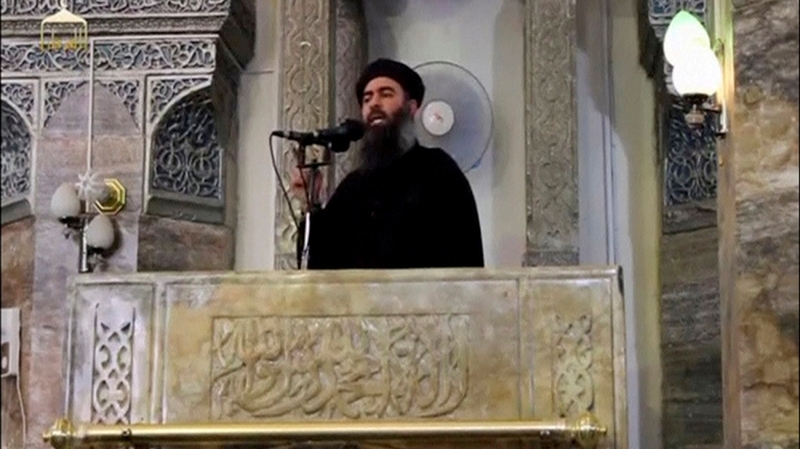 Despite being on the brink of military defeat, analysts say ISIL’s ideology will live on. Columb Strack, senior Middle East analyst at IHS Markit, says ISIL is already “reorganising to establish safe havens in near-inaccessible areas in Iraq’s Sunni heartland by rebuilding networks of support in surrounding sympathetic Sunni Arab communities”. This will likely be the case in neighbouring Syria as well, where the US has said it is preparing to withdraw its troops from the country’s northeastern region. Last month, US President Donald Trump demanded his European allies “take back over 800 ISIS fighters we captured in Syria and put them on trial” – a call rejected by countries, including France and the UK. He says ISIL’s takeover was a “stab in the back”, and through his diaries, wanted to show the world that ISIL and Assad’s government are “two sides of the same coin”. “When Assad’s forces were pushed out, we lived a golden era,” he said, reminiscing about the early days of the Syrian uprising.